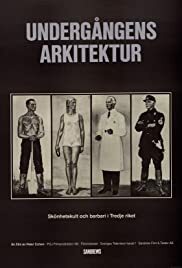 "The Architecture of Doom" is the best surgical picking apart of Hitler's brain I've seen. It thoroughly examines Hitler's aesthetic worldview and how it could have lead to an artistic obsession to recreate the world to fit that vision. Its thoroughness is something Hitler himself might have admired! However, the power of this film is regrettably blunted quite a bit by the poor English narration. Perhaps Bruno Ganz's original narration with subtitles would have been better--though I haven't seen the latter to say for sure. In any case, narration is crucial in films like these (For a great example, listen to Trevor Howard in "Memory of the Camps"), and this lifeless, inflectionless reader really hurts a film that deserves a lot better treatment.